The engineering point of view on IE6 starts as an operating systems supplier. Dropping support for IE6 is not an option because we committed to supporting the IE included with Windows for the lifespan of the product. We keep our commitments. Many people expect what they originally got with their operating system to keep working whatever release cadence particular subsystems have. As engineers, we want people to upgrade to the latest version. We make it as easy as possible for them to upgrade. Ultimately, the choice to upgrade belongs to the person responsible for the PC. Like it or not, Microsoft is doing the right thing. Windows XP extended support will continue until 2014 and IE6 was the browser supplied with that OS. IE6 support and updates will therefore continue for at least another 5 years. They can not and will not force users to upgrade. Vista was delivered 4 years late and has been slammed by the press and users alike. Many private users and corporations continue to use XP and install the free OS downgrade option on new PCs. Although Vista has improved, there is a general perception that it’s a poor OS and only Windows 7 will offer a viable upgrade path. The rise of low-specification netbooks. Most of devices would not run Vista effectively so Microsoft offered XP Home as an alternative. 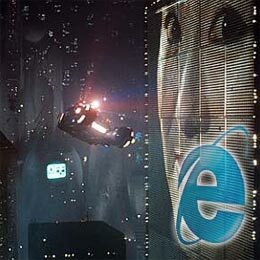 However, the company is committed to promoting IE8. Several of Microsoft’s own web applications, such as the new versions of online Office, do not provide official IE6 support (although they might still work, especially if they are Silverlight-based). Does Microsoft’s commitment to IE6 matter? Probably not — it’s up to the web community as a whole to encourage browser upgrades. Has Microsoft Killed the Linux Netbook? Will Microsoft Implement HTML5 in Internet Explorer?